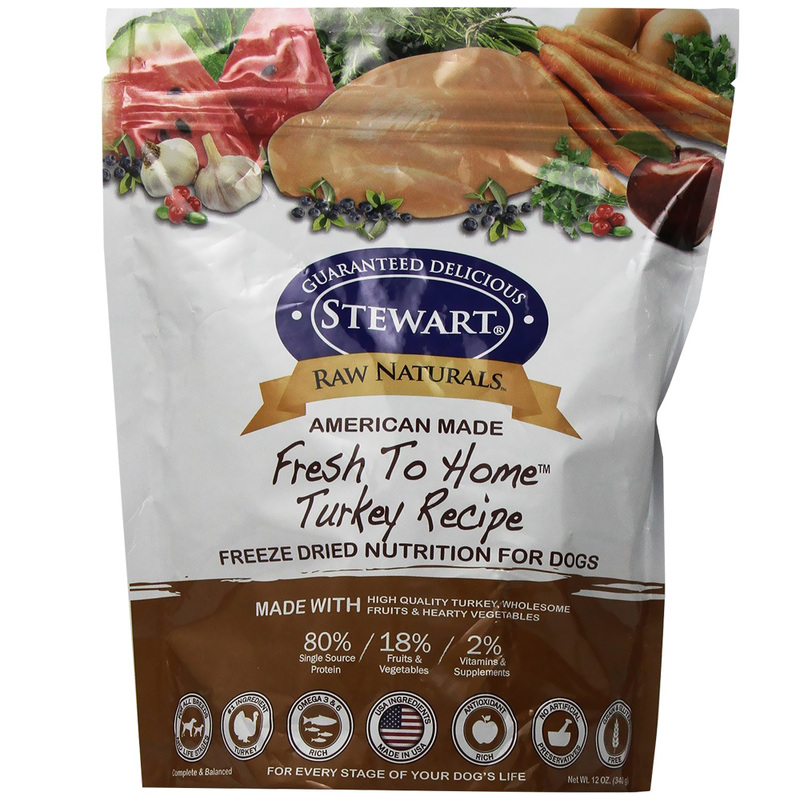 Stewart Raw Science Turkey Recipe Food is a wholesome raw diet that allows your pet to develop and maintain a healthy digestive system and proper weight management. We remove the moisture to create a convenient, easy to feed, raw diet without the freezer! Serving Instructions Recommend feeding twice daily cutting the recommended feeding in half. Always provide fresh water for your dog at all times. Feed as is or moisten with warm water. May be mixed with kibble or used as a top dressing too. Food Assurance Stewart® Raw Naturals™ is formulated to meet the nutritional levels established by the AAFCO dog food nutrient profiles for all life stages.